The New Riverside Ramblers band brings high-energy Cajun dance music from the prairies and bayous of south Louisiana to the other end of the Mississippi River. The members of the band have been immersed in Cajun music for decades. They have studied and performed with the best of the best Cajun music greats: Dewey Balfa, Tracy Schwarz, Steve Riley, Marc & Ann Savoy, DL Menard, Eddie LeJeune, Calvin Carriere, Lionel Leleux, and many others. The band is a two-time winner of the Cajun French Music Association (CFMA) "Prix Dehors" award, given for the best Cajun Recording by a band from outside Louisiana. The band is the 1st place winner of the 2016 Minnesota State Fair Americana/Roots Band Contest. The New Riverside Ramblers have been playing together for over 25 years for dances, festivals, and other events. Although the band usually performs as a 6-piece with pedal steel guitar, bass and percussion, they also perform as an acoustic trio with Cajun accordion, fiddle, rhythm guitar, and French vocals. Eric has performed Cajun music for over 30 years. He is a nationally recognized Cajun fiddler whose fluency in French contributes to his authentic Cajun vocals. Eric has been a fiddle instructor at Augusta Cajun Week, and played for many years with the nationally-known Bone Tones. A versatile musician who plays a number of styles of music, he can also be found playing mandolin and fiddle with the Café Accordion Orchestra. As early as 1975, John spent time in Louisiana visiting with and learning from some of the great Cajun musicians of the generation before us. In demand as a rhythm guitarist, he is a co-founder of the Chicago Cajun Aces, and was a mainstay with the Chicago Barn Dance Company. 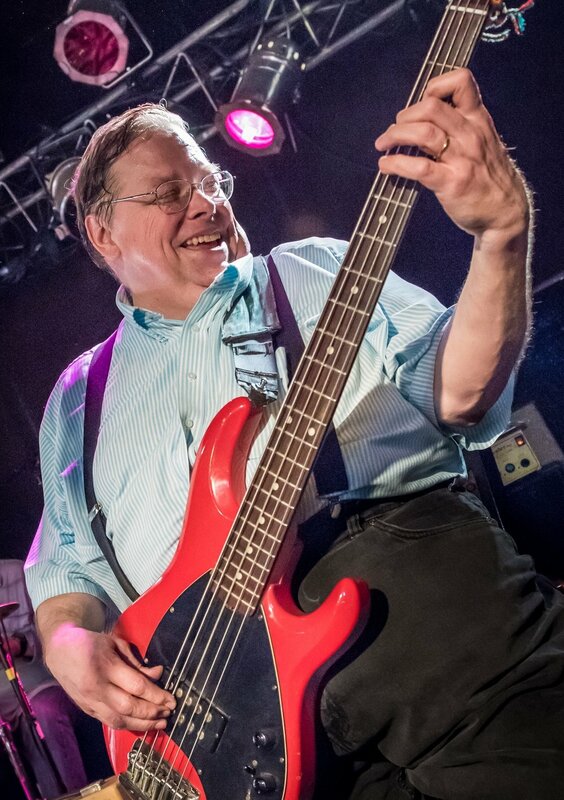 Since moving to the Twin Cities in 2001, John has played and recorded with the Cajun Hot Soles and with Kevin Anthony & the Twin City Playboys. He has long been on staff for Cajun Weekend at Folklore Village in Wisconsin, and has been on staff at Cajun/Creole week at Augusta Heritage Arts workshop in Elkins, West Virginia. A fine Cajun-style accordion player, he was a 2012 recipient of the Prix Dehors De Nous along with Kevin Anthony & The Twin City Playboys for their recording "Old Time Cajun Music." He is now very happy to be part of the New Riverside Ramblers. Karen has played Cajun guitar for over 20 years and has studied with some of the best players in Cajun music. Her driving rhythm gives the band its special pulse. AJ has been playing fiddle since a young boy. He grew up in a musical family playing mostly Irish music. At the end of his teens, he began to get interested in other styles of fiddle like Old Time, Bluegrass and Cajun. He is a world-class Irish and Old Time fiddle player, and also a top-notch Cajun fiddler. He also plays great Cajun-style pedal steel guitar! Currently he teaches fiddle at the Center for Irish Music and also plays with Steam Machine, Hello Heartache, Blake Miller and the Old-Fashioned Aces, and the Bootlickers. Karl Smelker is known to many as having been the bass player with legendary local Blues band the Minnesota Barking Ducks. But even a dyed-in-the-wool blues man like Karl was powerless to escape the powerful pull of Louisiana music. Karl has played Zydeco with the Swamp Sextet and the Faux Playboys, and is currently playing Swamp Pop with, yes, the Swamp Poppas (! ), as well as all manner of cool stuff with the Hipbone band. Paul is an award-winning Cajun percussionist whose background is in jazz and rock. He is a dynamo on drums and triangle and was the backbone of the Bone Tones for many years. His top-notch, energetic style gives the band its captivating pulse.